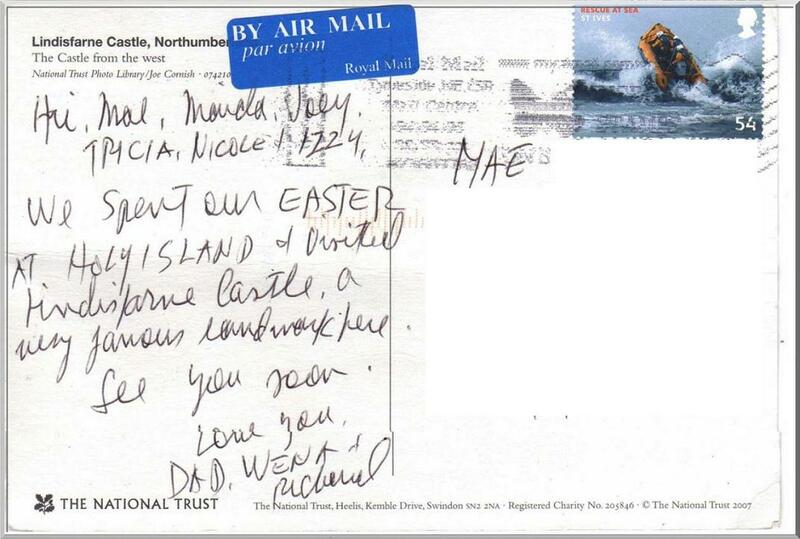 My dad’s last postcard on his last hurrah’s in UK addressed to the Philippines (while I was there on vacation). He and my sister with hubby spent Easter at Northumberland in one of the ‘holiest’ sites in England. 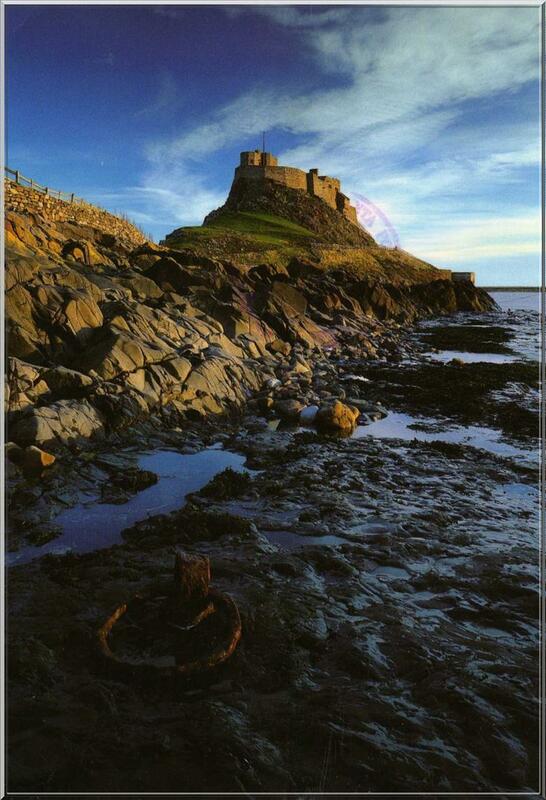 Lindisfarne, now commonly called Holy Island, is a tidal island off the northeast coast of England. Interestingly I found out, Lindisfarne is connected to the mainland by a causeway that is cut off twice a day by the tides! This means it become inaccessible when covered at high tide twice daily with waters from the North Sea. Amazingly, tide times and heights can be accurately predicted thereby crossing times are forecasted ahead when it is safe to cross. How exciting is that?! The island’s population is only at 160 but it attracts 650,000 visitors every year. I want to visit this place! You must have a lots of friends sending you their country post card. Love this one.